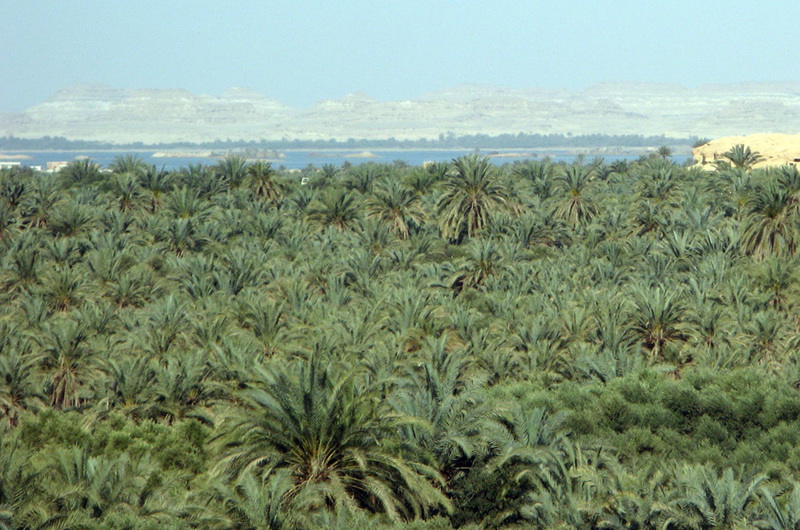 The stunningly green Siwa oasis is in the outer Sahara, in Western Egypt. I got there after about 470 miles and ten hours by bus from Cairo, with a change of buses at Marsa Matruh on the Mediterranean coast. The first sign of Siwa was hills off in the distance and then an abrupt terrain transition from Saharan sand to tall wild grass. Then we entered the oasis proper, with its many acres of lush green palm trees. 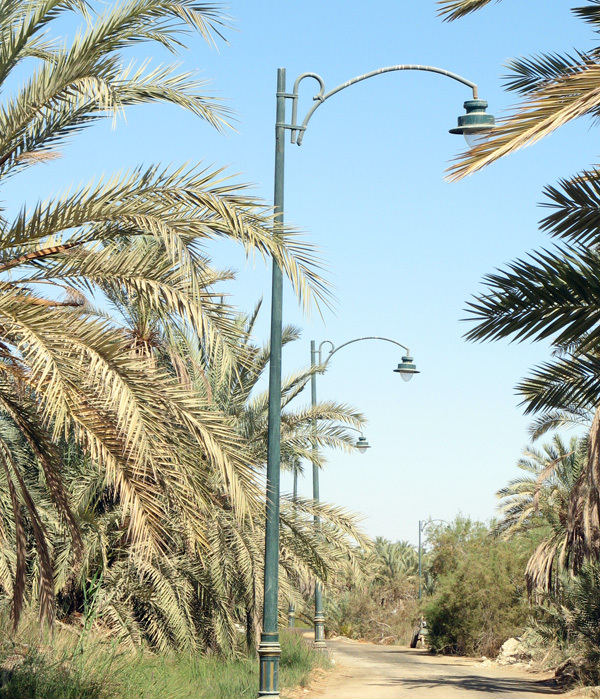 The oasis has a population of around 10,000, with much local agriculture and a good scattering of tourists. At the bus stop I was ambushed by some local kids, who carefully declined to give me directions to my hotel, but instead sold me a ride there on their fine donkey cart, for a whole 5 Egyptian Pounds (about a dollar). 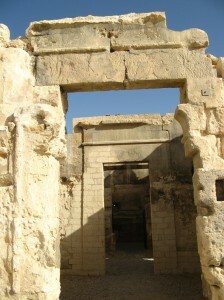 The Temple of the Oracle is about 2km East of the modern town area. It is easy to spot, as it is inside a ruined mudbrick town on a prominent hilltop. 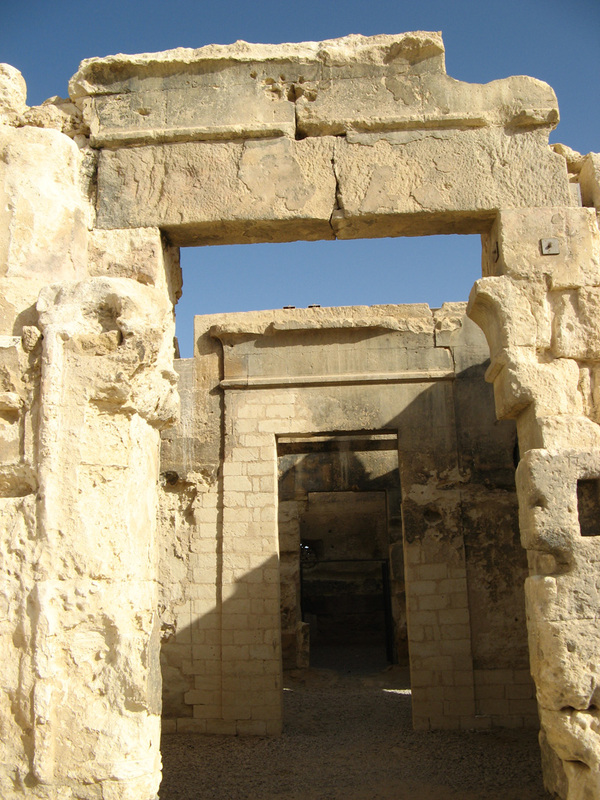 The Temple is fairly modest, and has suffered from some aggressive modern reinforcement of the ancient structure. But yes, it is the original structure, built in the 6th c. BC and visited by Alexander himself. The inner sanctuary is blocked off by a modern iron gate, but that was open when I was there, so I could stroll into the heart of the ancient Oracle. I had arrived early, so I had the site to myself. After traveling so far, how could I resist asking the Oracle for guidance? A long pause and then the exasperated braying of donkeys in the distance. A fine and fitting answer. 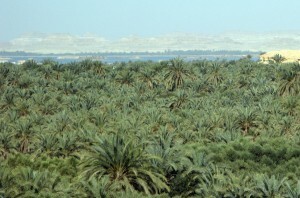 From the hilltop there is a fine view over the oasis, with its many square miles of green palms, and its two large (salty) lakes to East and West. 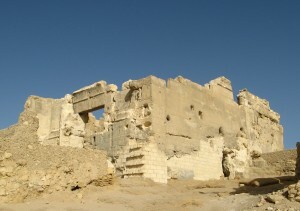 The ruined Temple of Umm Ubayd is about 500 meters SSE of the Oracle. (Note that the map in Lonely Planet Egypt 2008 seems to have mixed up the locations for the two temples and is quite misleading on this point). 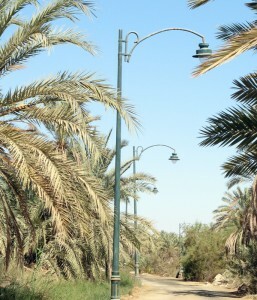 The humble road between the two temples is decorated by giant green lamp posts. Follow the lamp posts through the various forks and you’re on the right route. Unfortunately there isn’t much to see at Umm Ubayad: a lot of large collapsed blocks and a restored wall with a few faded ancient Egyptian inscriptions. If you follow the green lamp posts about another 700 meters SE, you’ll find a large modern bathing pool, allegedly fed by the ancient “Cleopatra’s Spring”. A little further on, there is an older, but still modern, circular deep pool, with a little water bubbling up, which also claims the “Cleopatra’s Spring” title.